Happy Holidays! Favorite Yule Scene! Sure wasn't the emeralds Tinne's FamCat, Ilexa, had demanded. Lahsin raised her eyebrows at the wording on the envelope: **Special bits for your FamCat from D'Ash**. Strother appeared torn. "Some now. Most for later." Strother crunched and slurped. **Human gifts,** he said. Strother went to his portion of the food and ate and drank politely, then burped and turned to Lahsin. He cast a yearning eye toward the cat treats, but then lifted his muzzle in pride. **You will put my treats in the no-time? ** he asked. "Yes, the Fam no-time in the kitchen that the BalmHeal Residence has so graciously opened to us now." Perhaps not so very different than Tinne's hunting cat after all. Celta Thursday, Vote on the Cover of Script of the Heart! Sweet and savory spice smells wafted around them and she relaxed more. Now Baccat sent a detailed mental image of the abandoned warehouse district in the northeast part of Druida. She frowned down at him and said in a quiet voice, "I thought we agreed to leave by the new and small southwest gate in the city?" His back rippled. **You should know all of Druida, experience various neighborhoods of the city,** he replied in pompous tones. Impatiently, she said, "I'm not interested in staying in Druida City. I'm determined to leave it. Living in the country at the Valerian estate will suit me fine. And it is in the south, so going out the north gate or the east gate would cause us to circle the city." **You don't need to lecture, Me! ** he snapped. She ignored him and continued. "The more time we spend near Druida, the more chance we will have of getting caught. And I don't want to even think of the consequences of getting caught." Her memory shied away from the hardest punishments in her life – whipping when she was young and, after she'd developed her psi powers, having depress-Flair bracelets manacling her wrists. Both had been awful, the physical and emotional hurt as she wondered why her mother would whip her when Lori hadn't thought she'd been bad. Then the psi-blocking cuffs shutting off all sense of her magic, being unable to use an integral part herself. It had been scary that there'd even been depress-Flair things small enough to go around her nine year old arms. No, she didn't want to discover what her Family would do to her if they caught her. "They might kill you, you know," she murmured to Baccat. He hissed and leapt from her grasp, hunched in energetic anger. Staring at him, she continued, "I'll try my best to protect you. To translocate you away if we're caught, but Cuspid and Folia, and especially the twins, can be sneaky." She sighed. "Yeah, they are." And she appeared to have gotten the sneaky gene. Maybe if she were away from her Family, she'd do better. **We should go to the northwest quadrant that I visualized for you,** her Fam insisted. **Because the legendary secret sanctuary of Druida City is there. ** He sat, stopping their progress to the front of the temple and the street, and looked at her from the corner of his eyes, lifted a forepaw and licked it. "I don't," she said curtly. "I haven't since I was young and my nurse told me to think for myself, and not to believe people who were mean to me." Since her Valerian nurse had been dismissed within a week of that warning, it had truly stuck with Lori. Along with the kindness of the old stableman and finding her father's memory spheres and recording spheres, she'd been able to block most of the toxic negativity of her Family and their teachings. Lately she'd considered that her heart and spirit had been saved from tainting by her nurse and the stableman, and her father's spheres. But Baccat's words that she lacked a wide education flicked her on a raw spot. It hadn't been easy, analyzing the Residence's and her teachers' words and figuring out what might be true or not. "You've told me of the Turquoise House often enough," Lori said. "Let's go explore!" That shut the cat up. 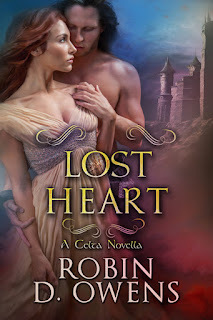 News: I will be publishing Lost Heart (a novella) myself. It's ALREADY WRITTEN. I'm aiming for March so I can release print on demand at the same time. 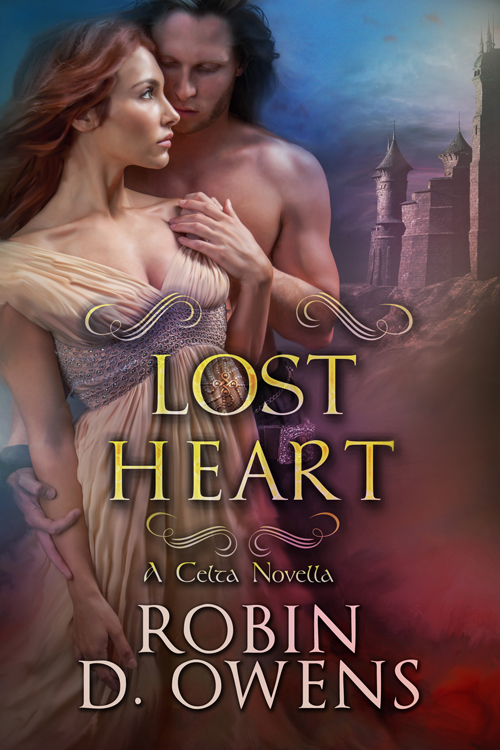 Celta Thursday: Backstory I wrote for Lost Heart (not in the novella). Barton had never thought that he'd be the last Clover man of his generation to marry. Clovers usually wed early and got started on their families. But they weren't the man who was responsible for the security of the whole Family. Family with a capital f. The entire, now noble, clan. 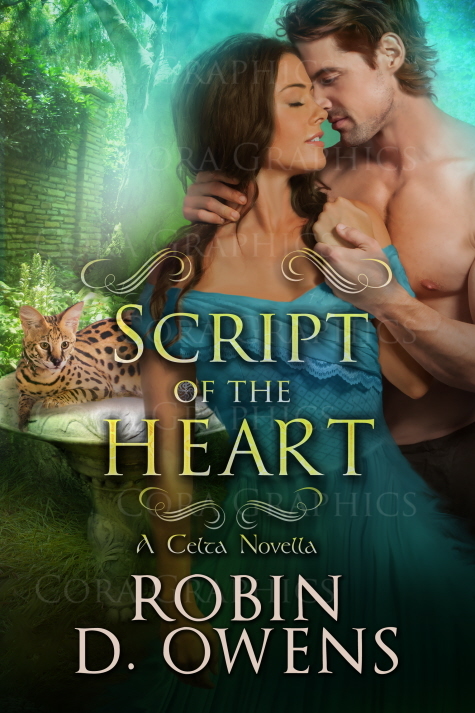 And that was a job that Barton would never have imagined he had when he was one of the group of children like those who ran past him in the dusk that draped over the Clover Compound courtyard. But like everyone in his generation, Barton hadn't known that his brother Walker wasn't his full brother, a secret the elders had kept. So having Walker experience three Passages to free his considerable Flair in a couple of days and raise the whole Family to noble status, had been a surprise. Barton hadn't given Walker enough credit for weathering those stormy seas at the time, he knew now. Because Barton was womanless– well, wifeless – and scrambled every day to keep on top of his job as Head of Security. Even though he'd had that job for ten years. And now Barton could also see that Walker would fulfill his potential. His quietly sneaky brother would rise to the very top of Celtan society and become the highest leader of them all. Barton swallowed more brithe brandy that singed his gullet nicely. Yeah, Walker would eventually become Captain of AllCouncils, Barton had no doubt. And that meant security for his brother and the rest of the Family was vital.